This winner was chosen by an independent expert in witticisms. This is not to say we endorse or don't endorse the winner's comments but we thought we needed to distance ourselves from controversy by making the process suitably murky. It's the British establishment way. An honourable mention must also go to the names Brian Maiden, Jeff Leppard and Jack Sabbath. Was Jesus' Jerusalem Entry a Royal Meeting? Mark seems to underplay his hand in this story. The donkey that Jesus rides is emphasized and reiterated inordinately. 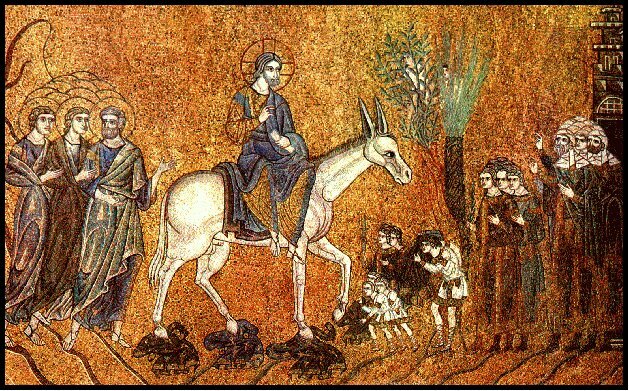 Mark wants us to understand that the donkey has been prepared specifically for Jesus and hasn't been ridden prior to this event. There is a certain virginal quality to this detail, but--let's be honest--is an immaculate donkey all that impressive? If the event was choreographed to enact Zech 9:9 (cf. parallels), Mark doesn't care to spell this out. Jesus' arrival in the Jerusalem Temple is the dictionary definition of an anticlimax: "Jesus entered Jerusalem and came into the Temple; and after looking around at everything, he left for Bethany with the twelve, since it was already late." No priestly endorsement. Not even a welcome. It is an odd and awkward story at best. This term is used a few times in the New Testament, but never to refer to Jesus' entry [although, cf. 1 Thess 4:17]. If Jesus got "the meeting" from anyone in Jerusalem, Mark neglects to mention it. After a close reading of Mark 11, it seems that nobody (save a few boisterous disciples) knew or cared about Jesus. Finally Jerusalem's collective disinterest in Jesus at this point might fit well with Mark's larger literary agenda. Jesus is on his way to conflict, betrayal, and crucifixion. But none of this has happened yet to draw anyone's attention. Jesus probably wasn't yet on anyone's radar in Jerusalem. If so, Jesus' entry would not have been seen as a "royal meeting" in anyway recognizable to the folks of Jerusalem. Annette Merz offers a short assessment of Jesus' marital status. She kindly cites my book alongside a few others. New to me is the suggestion made by Martin Luther that Jesus employed prostitutes from time to time. After all, Jesus was fully human and therefore was a sexual person. Merz rightly points out that this reveals more about Luther's view of masculinity than it does about Jesus' sexuality. I'm attempting to compile a list of themes/topics that have received attention in Jesus research over the last thirty years. What am I missing? I know that most people don't find things related to literacy in the ancient world as interesting as I do. But, for those few who might, I pass along my recently-published Oxford Bibliographies entry on "Literacy, New Testament." For those unfamiliar with Oxford Bibliographies, they are peer-reviewed annotated bibliographies that strive to capture most of the major contributions to a field. Inevitably, one has to leave out some here and there. This particular entry ended up being well over 10,000 words, however, so I'm hopeful that it's useful. The Jesus Blog word for the day is perspicuous. 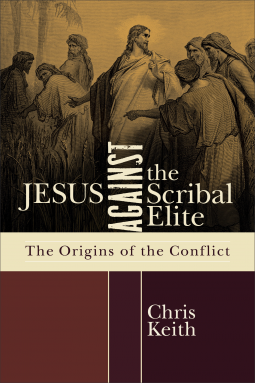 Used in a sentence: Chris Keith's Jesus against the Scribal Elite is perspicuous. Dayton folks, I will be preaching at tomorrow's chapel at United Theological Seminary (3/18/2015). 12:30ish I'm told. I won't reveal too much about the content of the sermon. But, as with all great rhetoric, I will be singing from Disney's The Jungle Book extensively. "The future for unscholarly, frankly loony books about Jesus ought to be even brighter in the postmodern era." In a recent conversation with two senior colleagues, I asked, "Who is the first female voice to be heard in the field of historical Jesus?" I was aware that "George Eliot" translated Strauss' Das Leben Jesu kritisch bearbeitet, but I was looking for a more direct contribution. Eta Linnemann's PhD work in the 1950s toward her Gleichnisse Jesu, Einführung und Auslegung [trans. Parables of Jesus: Introduction and Exposition] might represent the first, original book-length treatment. But one colleague suggested Elizabeth Cady Stanton’s The Women’s Bible (1898). This book reproduces selections of biblical text and punctuates it with commentary. The section of the book that comments on Joshua-Revelation includes the voices of Elizabeth Cady Stanton, Ellen Battelle Dietrick, Louisa Southworth, Lucinda B. Chandler, Anonymous, Matilda Joslyn Gage, Frances Ellen Burr, Rev. Phebe A. Hanaford, Clara B. Neyman. We owe the conquest of Christianity to two things. First, to Paul. Christianity never would have been anything but a little Jewish sect if it had not been for Paul. And the other thing is—what? The conquest over death. It was the abounding belief of the disciples that Jesus was alive, their leader still, though in the invisible, which made them laugh in the face of death, which made them fearless in the presence of the lions in the arena, which made them seek for the honor and glory of martyrdom, and which gave them such conquest over all fear, all sorrow, all toil, as can come only to those who believe that this life is merely a training school, that death is nothing but a doorway and that it leads out into the eternal glories and grandeurs beyond. I think that the doctrine of the Virgin birth as something higher, sweeter, nobler than ordinary motherhood, is a slue on all the natural motherhood of the world. I believe that millions of children have been as immaculately conceived, as purely born, as was the Nazarene. Why not? Out of this doctrine, and that which is akin to it, have sprung all the monasteries and the nunneries of the world, which have disgraced and distorted and demoralized manhood and womanhood for a thousand years. I place beside the false, monkish, unnatural claim of the Immaculate Conception my mother, who was as holy in her motherhood as was Mary herself. Another suggestion. This thought of Jesus as the second person of an inconceivable trinity, a being neither of heaven nor earth, but between the two; a being having two natures and one will; a being who was ignorant as a man, and who suffered as a man, while he knew everything as God and could not suffer as God—this conception is part of a scheme of the universe which represents humanity as ruined and lost and hopeless, God as unjust, and man as looking only to a fearful judgment in the ages that are to be. I believe that thousands of people have lived since the time of Jesus as good, as tender, as loving, as true, as faithful, as he. There is no more mystery in the one case than in the other, for it is all mystery. Old Father Taylor, the famous Methodist Bethel preacher in Boston, was a Perfectionist, and when he was asked if he thought anybody had since lived who was as good as Jesus, he said: "Yes; millions of them." This is Methodist authority. What made Jesus the power he was of his time? In the first place, there was an inexplicable charm about his personality which drew all the common people to him, as iron filings are drawn by a magnet. He loved the people, who instinctively felt it, and loved him. Then there was his intellectual power of speech. Most of the sayings of Jesus are not original in the sense that nobody else ever uttered any similar truths before. Confucius, six thousand years before Jesus, gave utterance to the Golden Rule. And then there was the pity, the sympathy, the tenderness of the man. And then he had trust in God— trust in the simple Fatherhood of God, that never could be shaken. Jesus taught us, as no one else has ever done it, the humanness of God and the divineness of man, so that, standing there eighteen hundred years ago, he has naturally and infallibly attracted the eyes, the thought, the love, the reverence of the world. When it is dark in the morning, and before the sun rises, there are high peaks that catch the far-off rays and begin to glow, while the rest of the world still lies in shadow. So there are mountainous men, not supernatural, but as natural as the mountains and the sun— mountainous men who catch the light before our common eyes on the plains and in the valleys can see it, who see and proclaim from their lofty heights far-off visions of truth and beauty that we as yet cannot discern. Is it not astonishing that so little is in the New Testament concerning the mother of Christ? My own opinion is that she was an excellent woman, and the wife of Joseph, and that Joseph was the actual father of Christ. I think there can be no reasonable doubt that such was the opinion of the authors of the original Gospels. Upon any other hypothesis it is impossible to account for their having given the genealogy of Joseph to prove that Christ was of the blood of David. The idea that he was the Son of God, or in any way miraculously produced, was an afterthought, and is hardly entitled now to serious consideration. The Gospels were written so long after the death of Christ that very little was known of him, and substantially nothing of his parents. How is it that not one word is said about the death of Mary, not one word about the death of Joseph? How did it happen that Christ did not visit his mother after his resurrection? 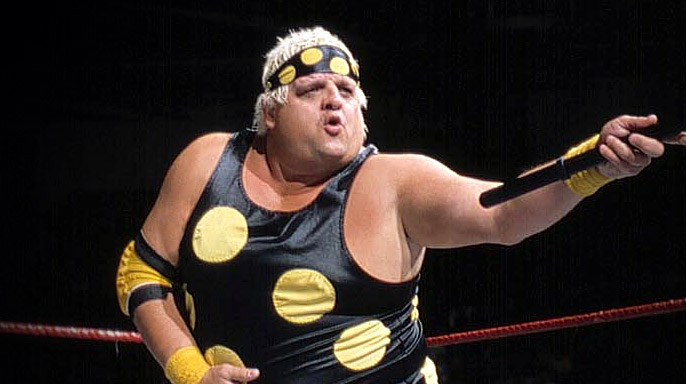 The first time he speaks to his mother is when he was twelve years old. His mother having told him that she and his father had been seeking him, he replied: "How is it that ye sought me? Wist ye not that I must be about my father's business?" The second time was at the marriage feast in Cana, when he said to her: "Woman, what have I to do with thee?" And the third time was at the cross, when "Jesus, seeing his mother standing by the disciple whom he loved, said to her: 'Woman, behold thy son;' and to the disciple: 'Behold thy mother.'" And this is all. I'd love to hear from our readers. Are there voices of women that predate 1898 in Jesus research? My friends, if you haven't read Anthony Le Donne's review of Simcha Jacobovici and Barrie Wilson's The Lost Gospel in the Los Angeles Review of Books, treat yourself to it here. The Lexham Bible Dictionary (via Logos) asked me to write a survey of "Quests" for the historical Jesus. Instead of writing the standard 1st, No, New, and 3rd quests survey, my subheadings include: (1) Early Historical Reconstructions, (2) Reconstructions in Inter-Religious Relations, (3) Enlightenment Developments, (4) Jesus Against the World, (5) Jesus as "Supra-historical", (6) The Quest for Theory and Method, and (7) The Memory Approach. Below is an excerpt. One of the most common ways to set the record straight is to set Jesus against a different backdrop. In doing so, Jesus’ aims tend to shift when set against a reconstructed ideology or political/religious power. Somewhat contemporary to this period of post-Christian revisions to the historical Jesus, Rabbi Jacob Emden (1697–1776) was faced with a dispute between Poland’s clergy and a Jewish community. Attempting to provide common ground between Judaism and Christianity, Emden wrote a short letter that described Jesus and Paul as observant Jews who created a religious system for gentiles. Emden suggested that their Gentile followers found the yoke (of Noahide laws) too burdensome and eventually departed from Jesus’ teachings (Falk, Pharisee, 13-23). Abraham Geiger (1810–74)—best known for his role in the founding of Reform Judaism—also argued that Jesus was a Pharisee. In Geiger’s reconstruction, Jesus emphasized Jewish liberty over and against the severe conservatism of the temple-based Sadducees. Eventually Jesus’ new group was taken over by Sadducees and non-Jews who reinvented Jesus’ teachings in their creation of Christianity. In these cases, the quest for the Jewish Jesus continued along a parallel track. Jewish-Christian relations thus continued to be an impetus for historical reconstruction in the Enlightenment period. It is, however, interesting to note a commonality between Jewish and Gentile scholars. In all of these historical portraits, Jesus was set against something, usually a group of people. Following Spinoza, Jesus was juxtaposed against the naïve irrationalism of his day. In many cases, Jesus was enlightened on matters of the natural world whereas his contemporaries believed in the supernatural. Often times, Jesus was set against the early Christians who misunderstood him and who created a mythology contrary to his original message. In the case of Geiger, Jesus was against the Sadducees and misrepresented by the Gentiles who took over his legacy. The rise of racial theories and anti-Semitism in Europe also had an impact on Jesus studies. French Catholic linguist and historian, Ernest Renan (1823–1892), was also a racial theorist. His study of phrenology (measuring of skulls and brains to determine collectively held traits) would be used to support the disenfranchisement of Jews. Renan did not deny that Jesus was from Jewish lineage, but he claimed that Jesus was able to cleanse himself of Judaism. In this way, Jesus became, not a Jew, but rather the “destroyer of Judaism” (Renan, Life, 168). This line of thought became a guiding hermeneutic for the “Institute for the study of Jewish influence on the life of the German churches and the removal of this influence” as anti-Semitism reached a tipping point in Nazi Germany. It was not uncommon for Jesus to be considered an Aryan in Europe during this period and especially in Germany. In short, Jesus was set against Judaism and Jews of all times and places. Reimarus was personally opposed to the Jewish race and religion, but it is difficult to tell how much this derives from anti-Semitism and how much this derives from his stance against religion in general. Regardless, his notion that Jesus was a failed prophet won the day. William Wrede (1859–1906) gave fuller voice to this reconstruction arguing that Jesus mistakenly foresaw the apocalyptic end-time judgment. But the Christological character of the Gospels obscured Jesus’ theo-political thrust. Albert Schweitzer (1875–1965), in perhaps the most influential retelling of Jesus’ life of all time (1906), offered what many thought what was the definitive treatment of the historical Jesus (Schweitzer, Quest). He was more confident about the historical value of the Gospels as compared to Wrede, but maintained the notion that the Gospels misrepresented several aspects of Jesus’ outlook. Schweitzer’s Jesus was (like Wrede’s Jesus) obsessed with the end-time Kingdom of God. This would be brought about by a figure he called the “Son of Man.” But Jesus realized, toward the end of his life, that his hope for the Son of Man was misplaced and so decided to become this figure himself. In a sense, Jesus hoped to force God’s hand as he enacted the model of the “suffering servant” provided in Isaiah 53. In going to his crucifixion, Jesus believed that God would be compelled to act and install the Kingdom of God. In these portraits, Jesus was set against an “old world” and determined to establish a new world order. Today my review of The Lost Gospel by Jacobovici and Wilson was posted at the Los Angeles Review of Books webpage. ...some of the claims that Simcha Jacobovici and Barrie Wilson make: (1) a 6th century text that never once refers to Jesus or Mary Magdalene is secretly about Jesus, Mary, and their children; (2) the character “Joseph” named in this text represents Jesus, Apollo, Helios, Mithras, and a Roman emperor simultaneously; (3) Mary Magdalene was not Jewish and was, moreover, a priestess of Artemis; (4) when Jesus refers to the Queen of Sheba (Matt 12:42), he is speaking of Mary in code; (5) Jesus — not a peasant, but a powerful figure in the world of Roman politics — was the victim of not one but two assassination attempts, both of which he survived; (6) the Roman general Germanicus was the second threat to Jesus, but a Roman prefect named Sejanus saved him, Mary, and their children; and (7) the wine of the Last Supper symbolized Mary’s menstrual blood. As you will see below, this is only a small sampling of this book’s originality. As something of a junky for Jesus documentaries, I was excited to be able to watch the first episode of CNN's "Finding Jesus" over lunch today. The full episode is available online here. It focuses on the phenomenon that is the Shroud of Turin but contains quite a bit of interaction with the Gospel texts. 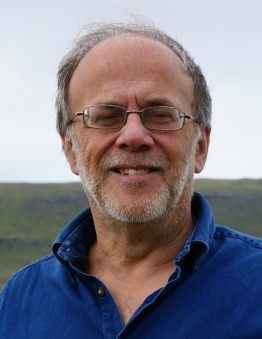 Mark Goodacre, Candida Moss, Michael Peppard, Ben Witherington, and others make appearances.